As you all know, due to technical issues, we lost our Forum content and had to build it from scratch. 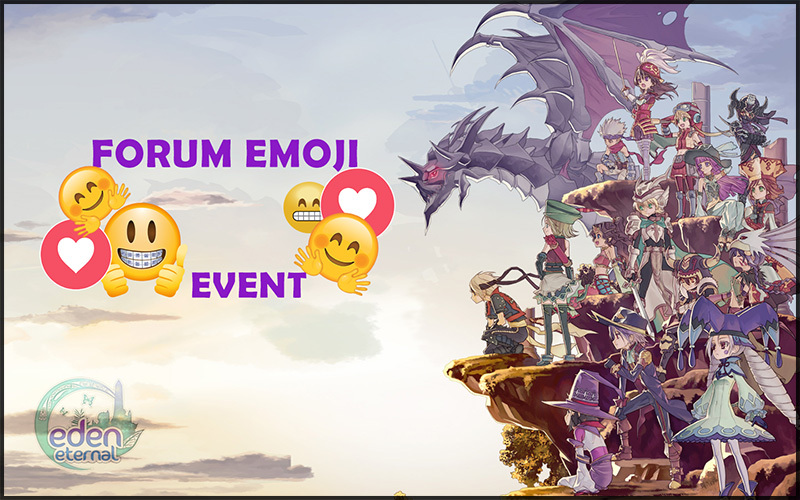 And now that we are back, let's celebrate the return of the forums by adding some new emojis to our posts! Of course, we will need your help. We would love to see works of your imagination. Use anything that makes a good emoji. There are only two rules- the image must be min size 23x23 px and max 50x50 px and it must be related to Eden Eternal. There’s also no limitation how many emoji’s you create! You can create a full set or only one. Now show us your wonderful emojis and more importantly, have fun!